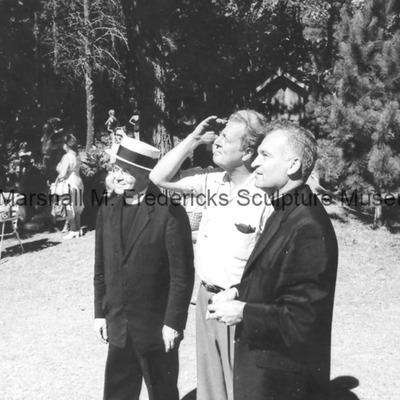 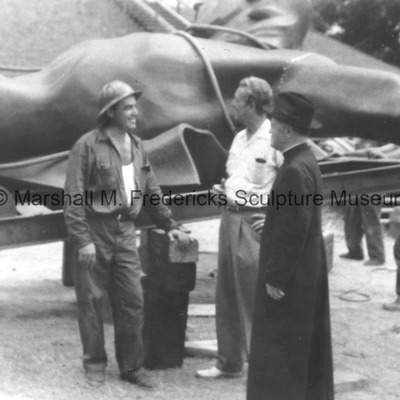 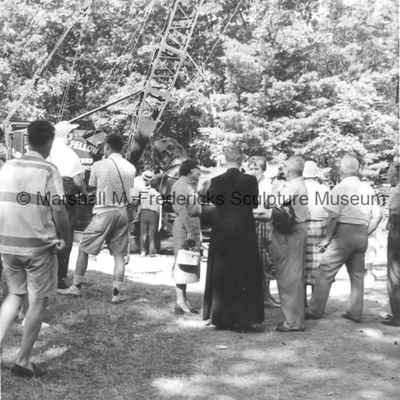 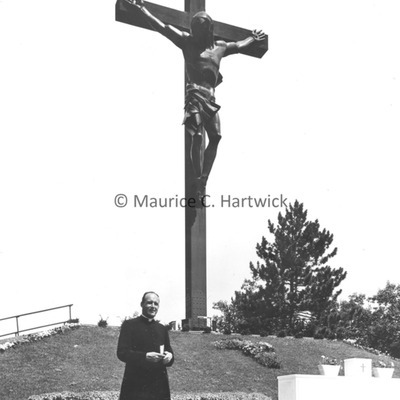 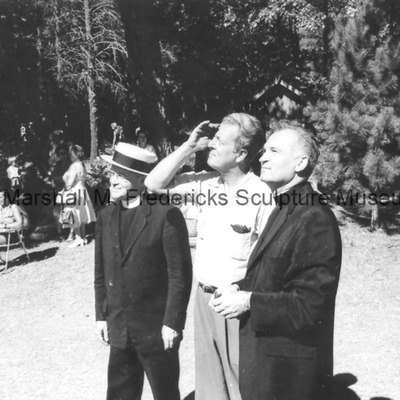 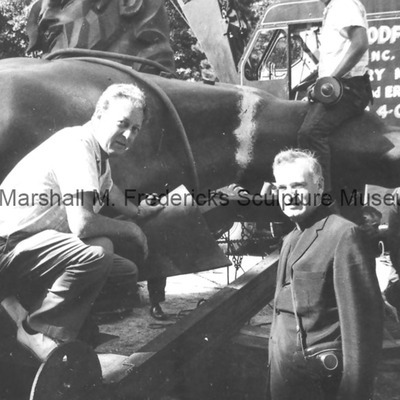 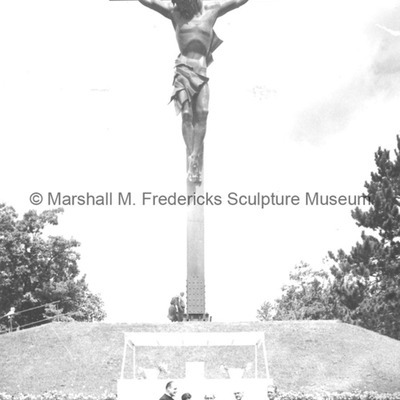 Marshall Fredericks, a priest and a worker converse about "Christ on the Cross"
Onlookers converse with a priest as the crane is attached to the corpus for "Christ on the Cross"
Marshall Fredericks and unidentified priest pose with the bronze corpus for "Christ on the Cross"
A priest observes the installation of "Christ on the Cross"
A priest observes the installation of the bronze corpus for "Christ on the Cross” for Indian River Catholic Shrine, Indian River, Michigan. 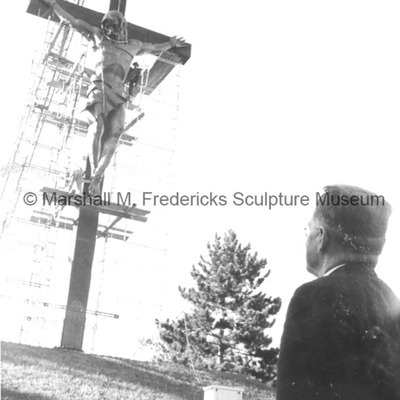 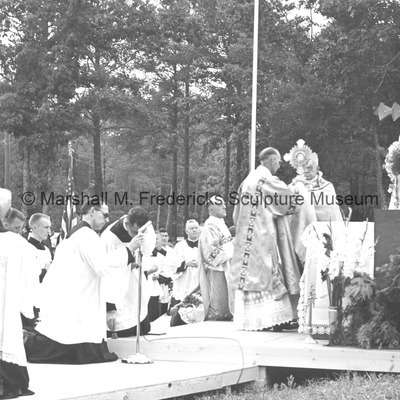 Marshall Fredericks and two priests observe the installation of "Christ on the Cross"
Marshall and two priests observe the installation of "Christ on the Cross” for Indian River Catholic Shrine, Indian River, Michigan. 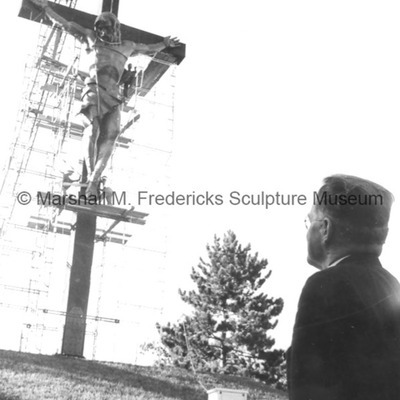 Marshall Fredericks and two priests watch the installation of "Christ on the Cross"
Marshall Fredericks and two priests observe the installation of the bronze corpus for "Christ on the Cross” for Indian River Catholic Shrine, Indian River, Michigan.